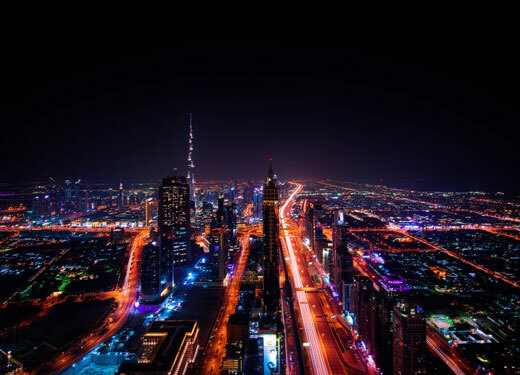 Dubai’s strategy to become one of the world’s smartest cities and most important technology hubs is paying dividends, with foreign investors flocking to the city encouraged by strong government start-up support and related initiatives. According to the Dubai Foreign Direct Investment (FDI) Monitor report published this month by the Dubai Investment Development Agency (Dubai FDI), the emirate ranked first worldwide for FDI in technology transfer relating to artificial intelligence and robotics research and development, and third overall globally in terms of total investments behind the established high-tech hubs of Singapore and Shanghai. According to Financial Times’fDi Markets index for 2017, Dubai ranked fourth overall worldwide for new investment projects launched last year, fifth for reinvestment projects and 10th for capital inflows in new investment projects. The number of FDI projects doubled from 2016 to 367 in total. The US was the top source market in terms of FDI in 2017, followed by Austria, France, the UK and Saudi Arabia. The UK (16 percent), Germany (4 percent) and Italy (4 percent) accounted for 24 percent of all FDI projects launched in Dubai in 2016, according to data published by Dubai FDI. This trend continued in 2017, with Q3 results for the year showing the UK accounted for 17.5 percent of FDI projects, while Germany and France accounted for 6.35 percent apiece.